Last Updated: March 25th 2019 Because I have had quite a few emails asking about this company, I have decided to make this ultimate guide on Thomasville cabinet reviews and my thoughts on the company as a whole. Without further ado, lets get into it! Thomasville have been making cabinets for over 100 years. Their first store opened in North Carolina in 1904 and at the time sold only one product- a chair. The popularity of the chair and people’s admiration of their product quickly led them to expand their range and now they produce 100s of different products for the home! 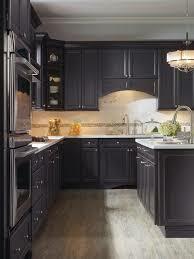 Thomasville is part of the Masterbrand Cabinets family and is partnered with Home Depot. Collectively they have over 150 independent and Home Depot stores stocking their goods. Beauty, function, strength and performance are the four pillars that Thomasville products are built upon. They strive to make sure all of their furniture stands up to these values. 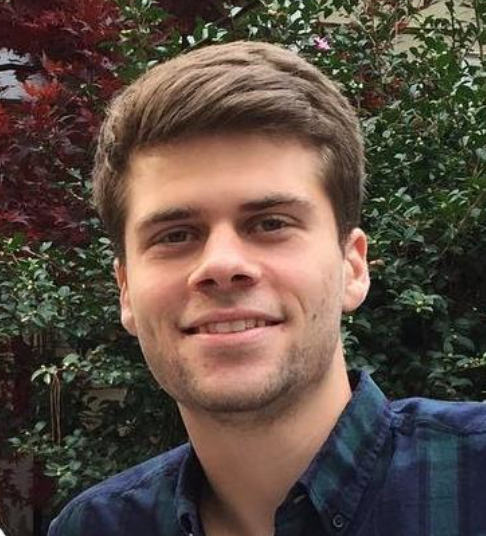 They are passionate about helping people improve their home according to their personal vision. Although Thomasville is primarily known for their cabinets, they manufacture quite a bit else. Thomasville now have a diverse selection of products built for multiple purposes. 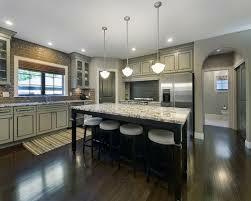 They produce home furnishing, flooring, lighting and accessories but what they excel at is their cabinetry. Thomasville manufacture exclusively within the United States, keeping a close eye on their production line. This ensures the product quality and lets them vouch for for every piece they create with confidence. 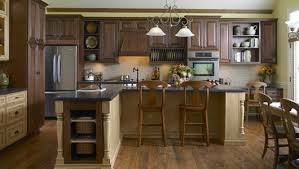 There are two different varieties of Thomasville cabinets- standard or all plywood. Plywood offers more durability as it is not susceptible to cracking or shrinking. This makes it a good option for kitchen cabinets that take a fair amount of wear and tear. These all provide a different colour, look and style for your furniture and allow the customer a great choice. When people walk into my kitchen, they gasp! They absolutely love the vibrate colors of my Thomasville cabinets, and compliments have been a common occurrence! I have owned my cabinets for two years, and I have had no problems! Along with these choices there is the choice of a medium, light or dark colour wood. There’s also numerous finishes and glazes available for you to choose from. The Thomasville cabinet door selection shows the same level of diversity. These range from style (Arch, Slab, Square), design and colour. You’ll want to ensure you’re matching the wood you’ve chosen. All of these options make Thomasville a versatile cabinet provider and you’ve got the ability to make them your own so they suit your home. Make sure to take some time to think about exactly what it is you’re after and then speak to a Home Depot rep about all the options. 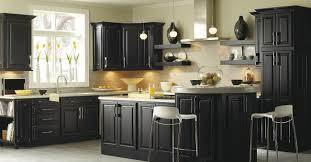 Thomasville have a practically unmatched selection of options for cabinets that make them a really popular choice. This allows them to cater for home owners with unique requirements, tastes and preferences all over the country. They’re a great place to look if you’ve got a good idea of what you want or if you’d just like to explore the options. There is a divide among customers about Thomasville cabinets with some loving their purchase but a few others expressing regret. Overall, a lot of people are impressed with the service and quality of Thomasville and their cabinets. Our cabinets were installed a little over three years ago. We haven't had any issues with the finish of the Thomasville cabinets. Along with that, I haven't had to contact the warranty department so I can't comment on that. There are a large amount of custom options, and I am happy with the options we chose. Overall I was most impressed with the Thomasville and Home Depot customer service. Others are less impressed. Common problems among the negative reviews seem to be centred around poor quality materials and mismatched wood. There are also issues raised about miscommunication when it came to their cabinets. There is a bit of a divide in opion when it comes to Thomasville cabinets with some people swearing they would never shop elsewhere and others warning people against them. Generally there seems to be much more satisfaction with the customers and everyone who was happy seems committed to the brand. In the world of cabinets, Thomasville and Kraftmaid seem to be the two biggest options. We recently did a full review of Kraftmaid Cabinets so you should check that out! There are disagreements about which is the better choice with criticisms being made of Thomasville’s choice to use plastic supports for their shelving. Both described as the top end of the mid range priced furniture, Thomasville comes out on top in the popular forums in terms of quality, price and customer service. If you are looking for another company similar to Thomasville and Kraftmaid, then check out our review on Schrock cabinets! Thomasville stand behind the quality and durability of their products by offering a “forever promise”. This guarantees their furniture for as long as you live in that home. This warranty covers all defects and workmanship but doesn’t cover the natural aging of the wood which can occur. In generally their warranty is pretty extensive and if you take care of your cabinets as you should, then the Thomasville warranty will take care of any problems on their end! 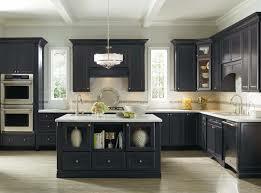 Thomasville cabinets offer a massive amount of choice, more than others on the market which is a big plus. They have a long history and a lot of happy customers who have been pleased with the quality provided. With such a wide selection you need to make sure to work out exactly what you want for your home and then talk to somebody qualified who can guide you to the right product. It isn’t a perfect process getting the right furniture but if you can pull it off Thomasville cabinets will make a great addition to your home! I hope you have enjoyed our Thomasville cabinet reviews, and if you have any questions leave them in the comment section below!